We begin with this photo of Oasis of the Seas leaving Cozumel, as seen by Joel Torres from his balcony on Navigator of the Seas. Helena Saint shared this photo of the Ultimate Abyss entrance on Symphony of the Seas. Here is Serenade of the Seas docked in Alesund, Norway. Photo by Mark. 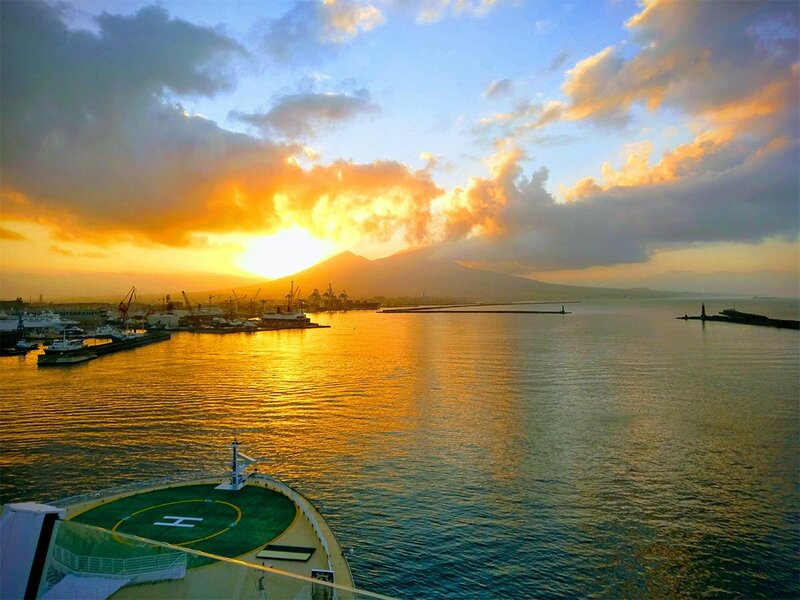 Shane Paulo took this photo of Symphony of the Seas' inaugural visit to Naples, Italy. Beth and Gordon were married on Harmony of the Seas 4/21/18 and had to have carousel photos! Allen Shaffer spotted what used to be Splendour of the Seas . She is now the Marella Discovery. Our final photo this week is by Jeff LeBriton, and it is of Freedom of the Seas in the early morning preparing to dock in Cozumel.